"A sweet but still tart jam with Swedish lingonberries. This goes really well with classic Swedish meatballs or fried herring (Swedish style)." 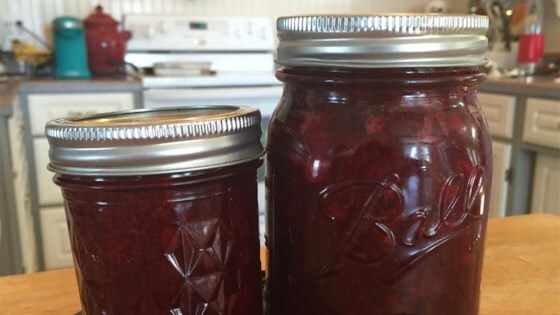 See how to make blueberry and rhubarb jam. Love lingonberry jam but had to substitute with cranberries. I haven't been able to find them around here. :( Sorry for the post without making this exact recipe. thank you thank you. lingonberry recipies are so hard to come by. this is as simpleas it gets and is wonderful ! I found a massive patch of lingonberries and was given some as well. I made this with a stevia blend instead of just sugar. It was still delicious and one of my favorite jams!